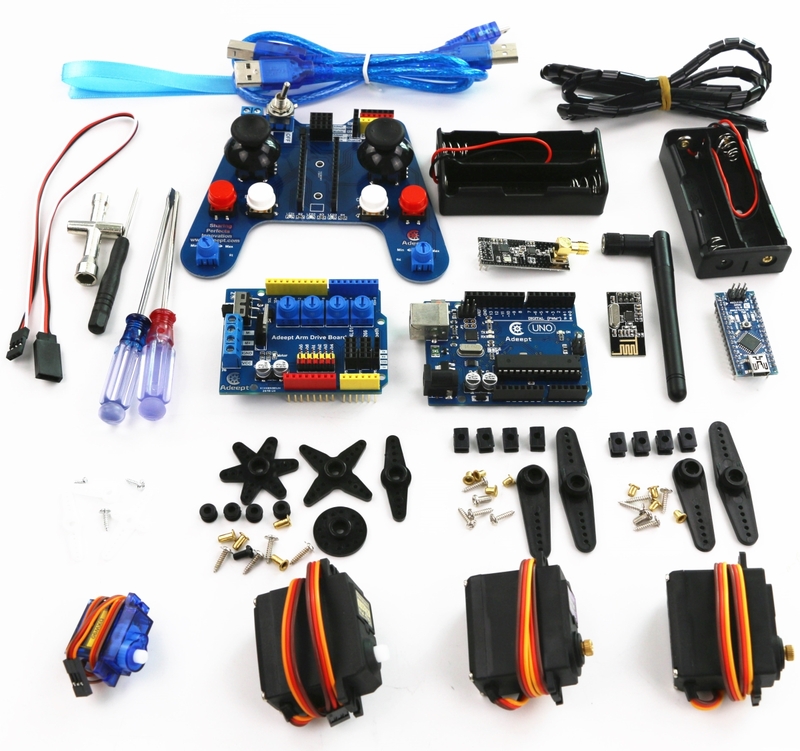 The entire system is divided into two parts, the robotic arm and the remote control, the communication between them based on NRF24L01 2.4G wireless module. 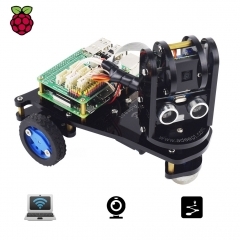 Here is a desktop mini robot "who" can do a lot of things. 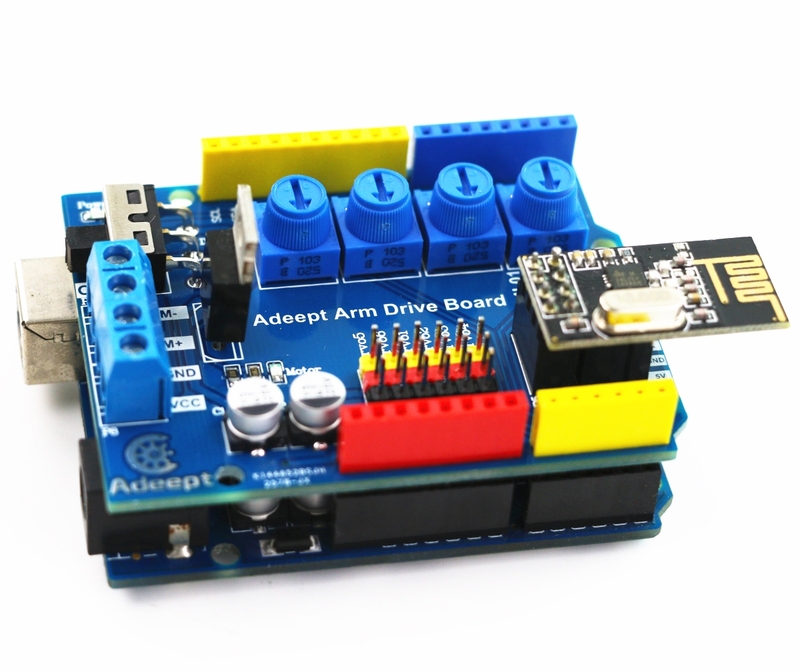 This robotic arm is developed based on Arduino and can be controlled in more than one way. 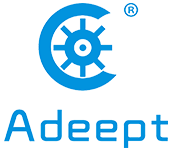 It's totally open source so you can extend more self-defined functions and operations. 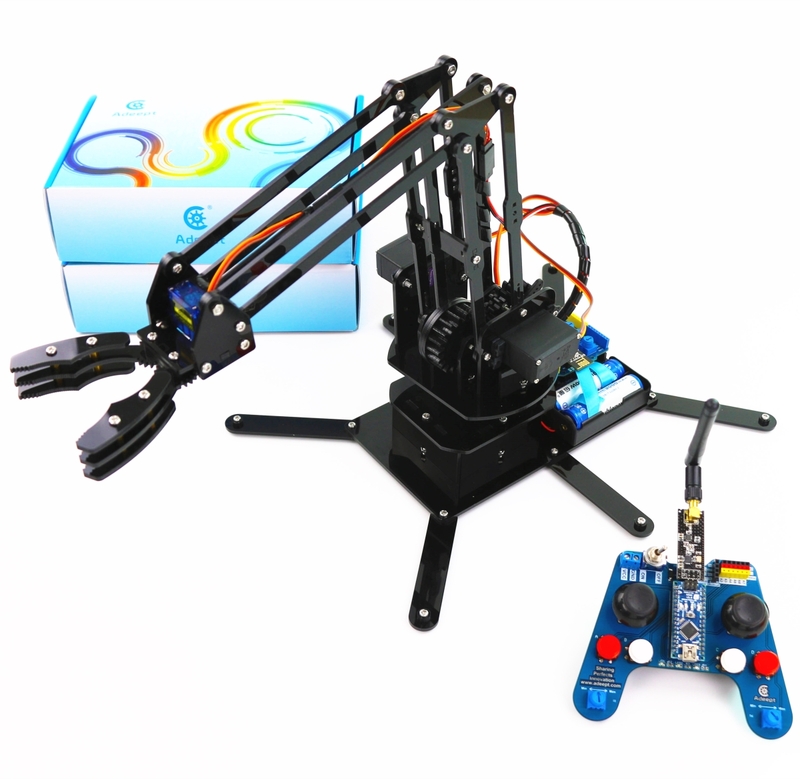 Be able to imitate movements of human's arm and hand,robotic arm can be programmed to grab and move objects or use tools automatically.Robotic arms are the earliest industrial and modern robots.In application,they can work hard for human to realize mechanization and automation of manufacture,even under the hostile environment so as to protect human safety, thus they are widely used in areas including machinery manufacture,metallurgy,electronics,light industry, atomic energy, etc. 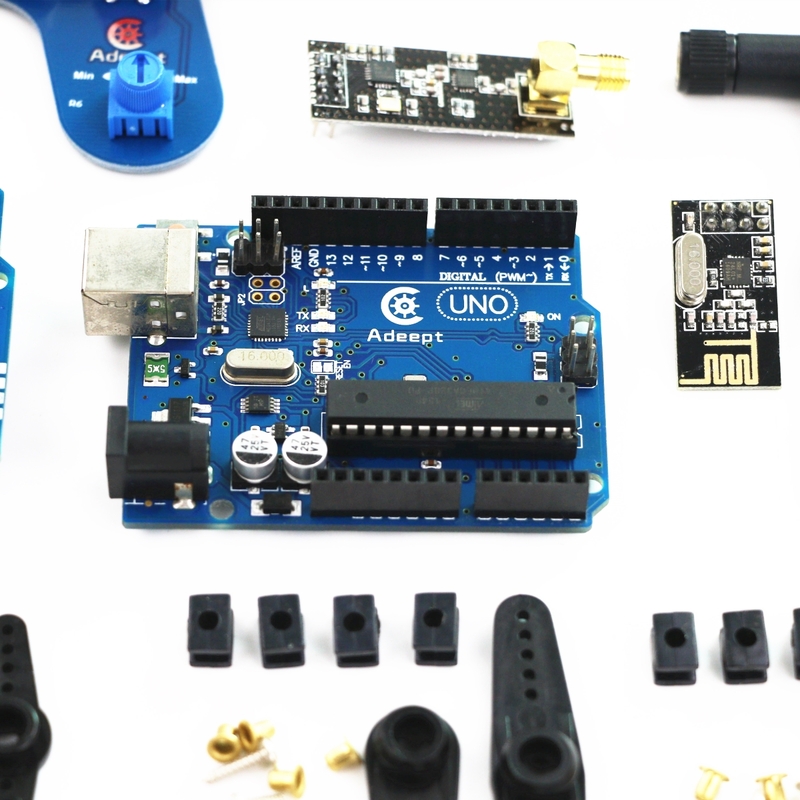 The robotic arm kit is designed based on Arduino UNO R3 and Nano. 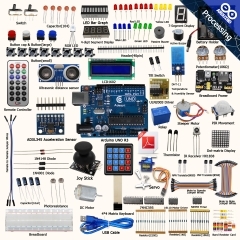 This is a complete and fun Arduino learning kit. 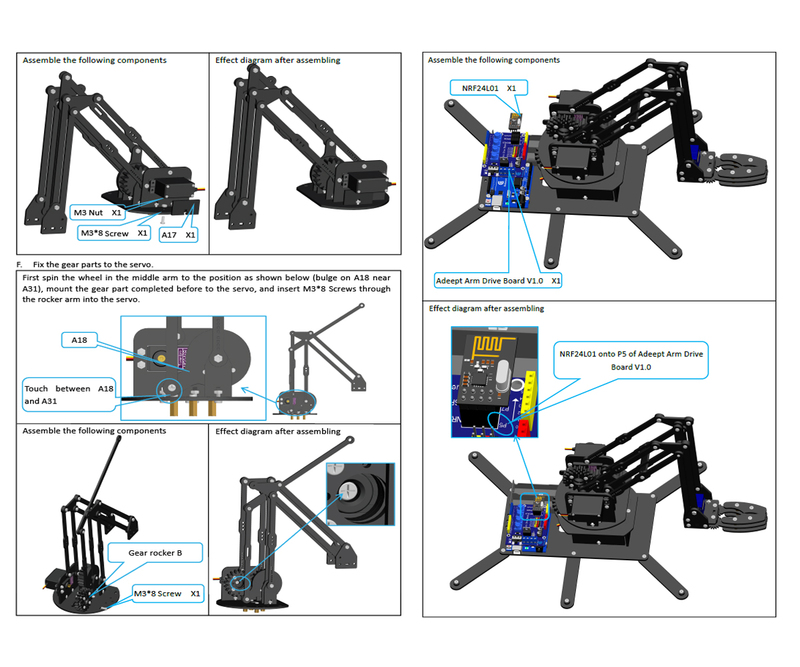 We carefully prepared a detailed guidebook/tutorial(PDF), the guidebook contains complete circuit diagrams and assembly steps, according to our tutorial, you will be able to easily build your own desktop robotic arm. 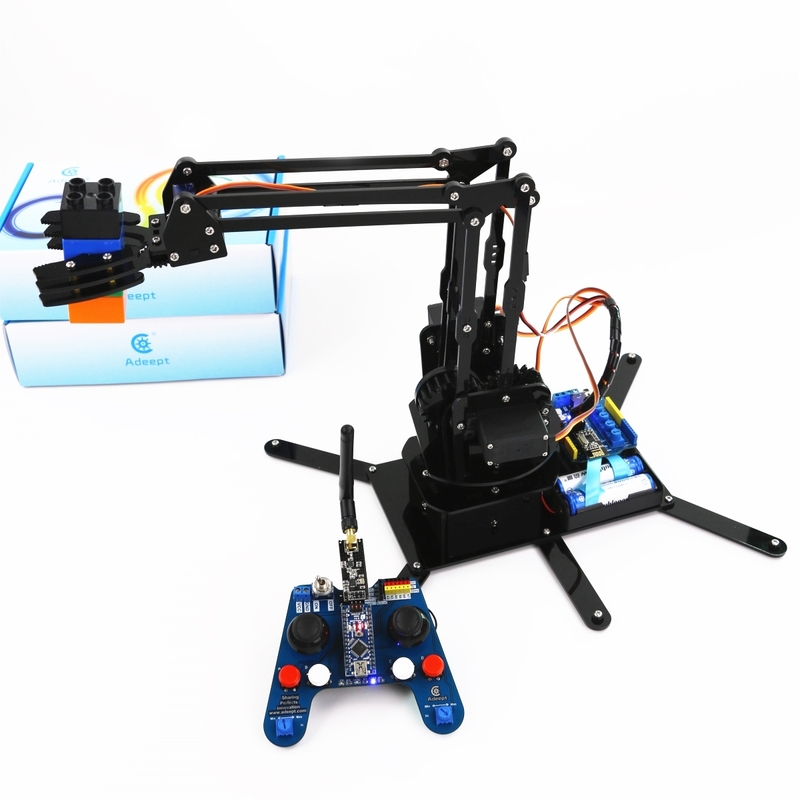 Pull the left stick to the left and the robotic arm will turn clockwise in a range of 0-180 degrees; push it to the right, the arm will turn counterclockwise in the same range. Push the left stick forward and the arm will stretch forward; pull it backward, the arm will retract back. Push forward the stick on the right, the arm will reach up; pull it backward, the arm will draw back. 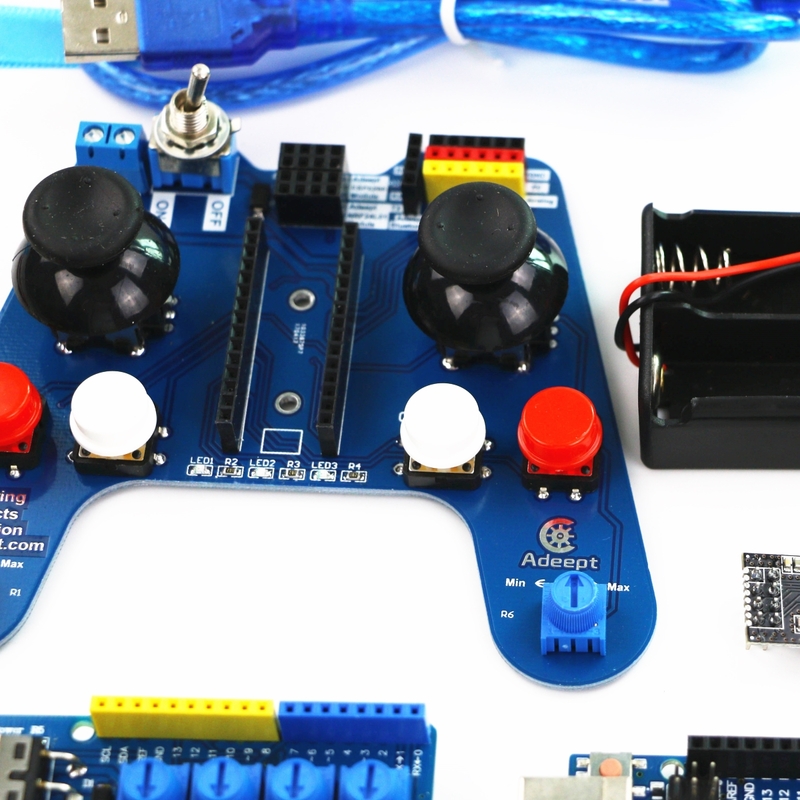 Push the right stick to the left, the arm will pinch the grippers; pull it to the right, the grippers will open. Enjoyed making the kit, but scraping the paper coating from every piece of acrylic was very time consuming. The PDF instructions were pretty good and I only noticed a handful of mistakes. You have to be very careful to study the pieces before assembling them as I went wrong twice by not noticing a screw hole was the wrong way round. Uploading the firmware on the wireless controller was an issue for me, as I tried for a whole morning, but it just didn't work. I eventually got it to work by detaching the wireless board, uploading the firmware, then re-attaching the wireless board. 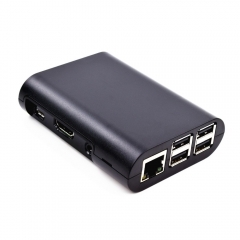 The batteries used aren't ones I have come across before (18650), and are quite expensive, as 4 are required (and a charger). 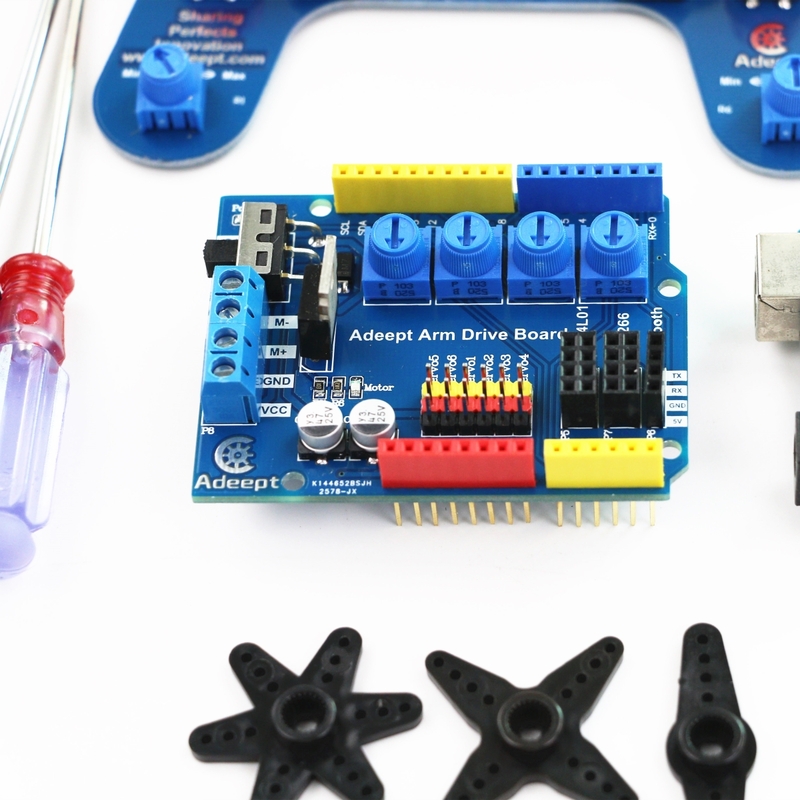 I tried running the arm and controller using USB, but I don't think the USB 5V is strong enough to run the servo motors on the arm (have just ordered batteries and hope that sorts it). 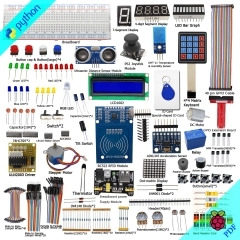 This is a fun kit to build. 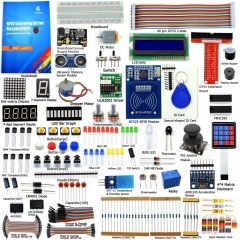 All the schematics and code are downloadable so it's great for learning and hacking. 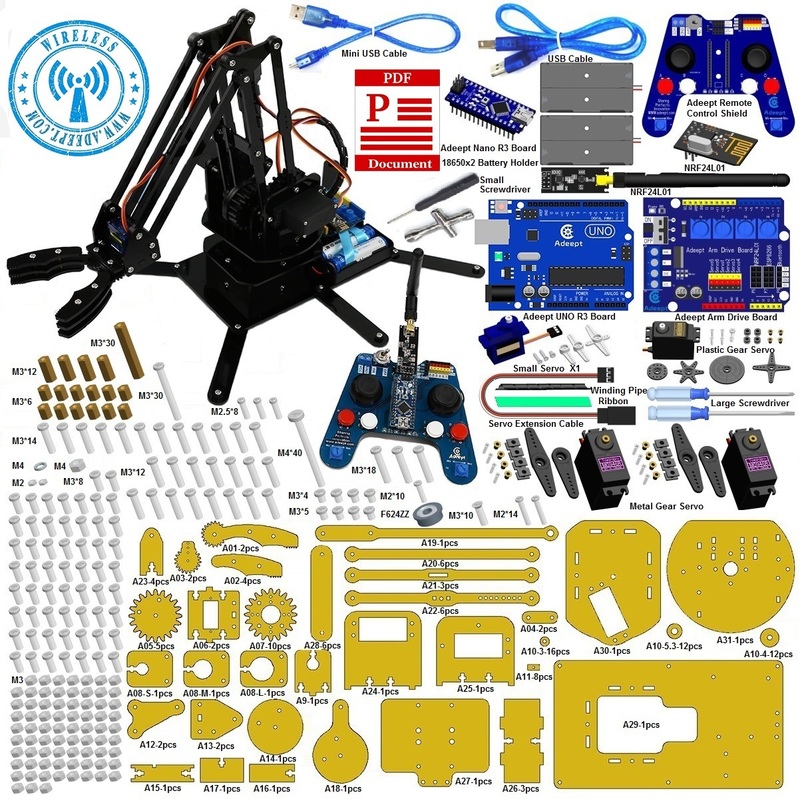 The assembly instructions, which must be downloaded from the Adeept site, are quite good with only a couple of minor glitches. 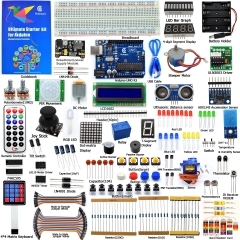 The kit goes together well and the Arduino Uno and Nano come pre-programmed with software. 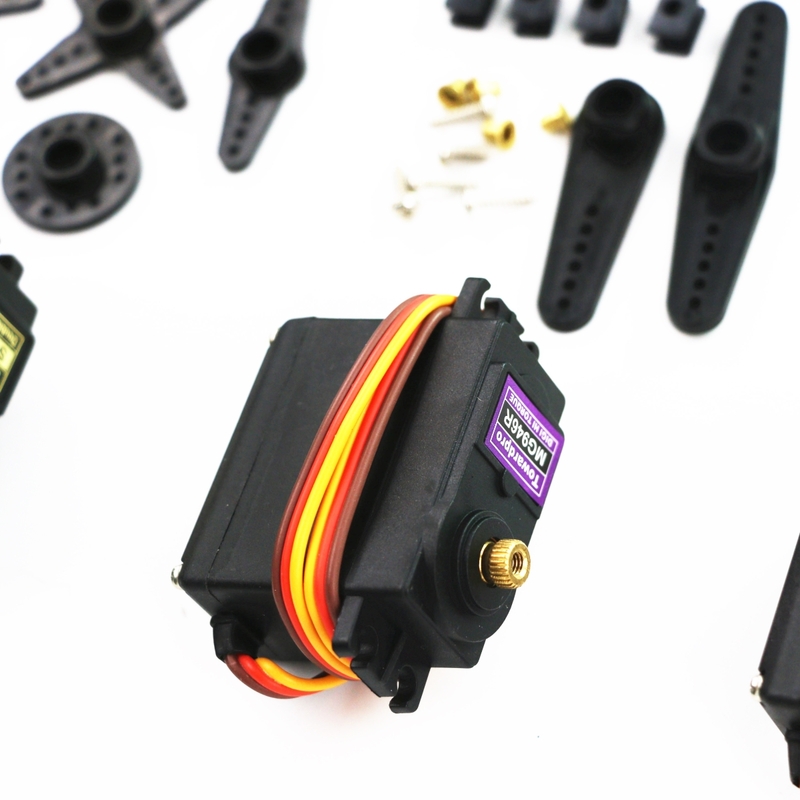 The components are good quality and a generous amount of spare parts are included (extra screws, nuts, etc). The finished result is pretty wobbly simply because acrylic isn't very rigid and it's made of acrylic plate.